This Christmas pack is full of sweet crispiness! 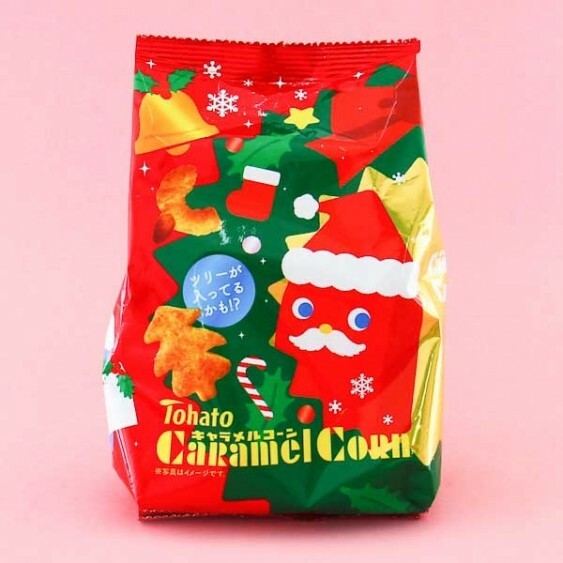 Tohato has made these famous caramel corn treats since 1971, and they are popular for a reason! 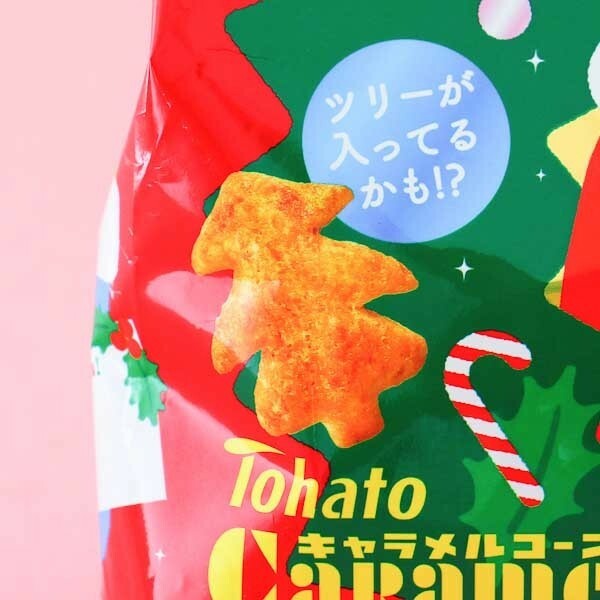 Compared to original Tohato caramel corn, this package has a sweet holiday feeling to it, and if you are super lucky you may find unique Christmas tree shaped caramel corn from the package! The bag mixes two amazing flavors: caramel, and roasted peanuts! Together these tastes make a whole new corn snack which is tastier than ever! 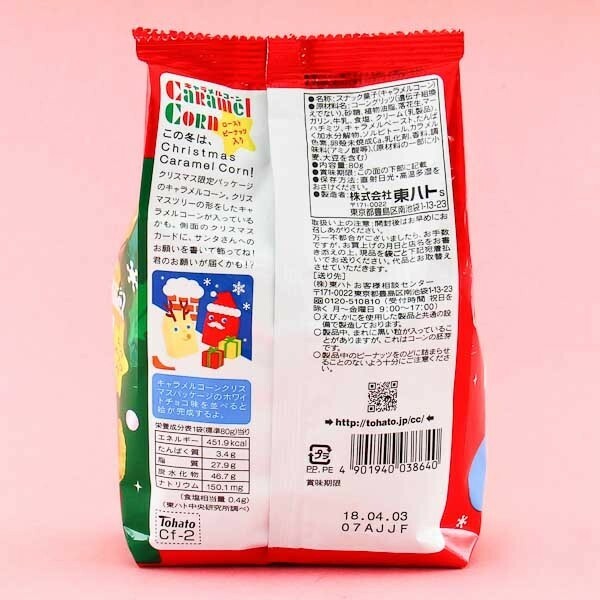 Try out these funny Japanese snacks with your friends and family!